Please login to contact RainLab. # 57 in Free of all time. # 21 in Free of all time. Provides the Google Analytics tracking and reporting. # 9 in Free of all time. Adds location based features, such as Country and State. # 19 in Free of all time. This plugin adds a Twitter features to your page. Adds extra features to the User plugin. # 22 in Free of all time. A sample multi-lingual theme for translated content. 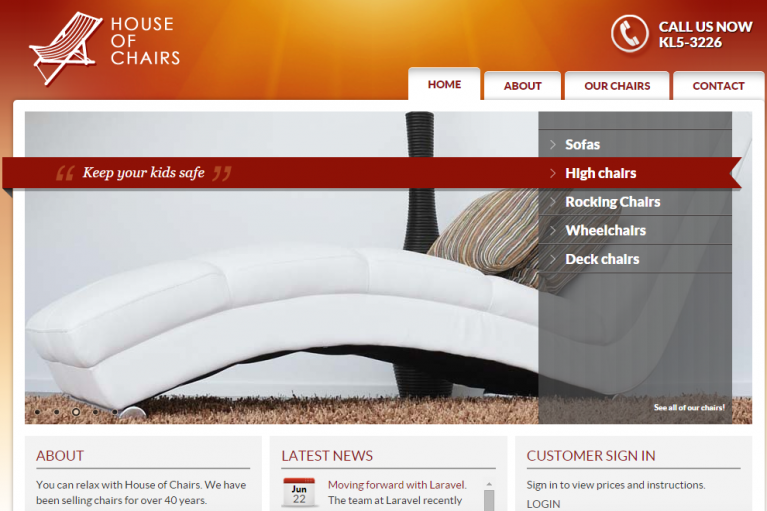 A fictional site called House of Chairs that demonstrates how to build a client-friendly website. 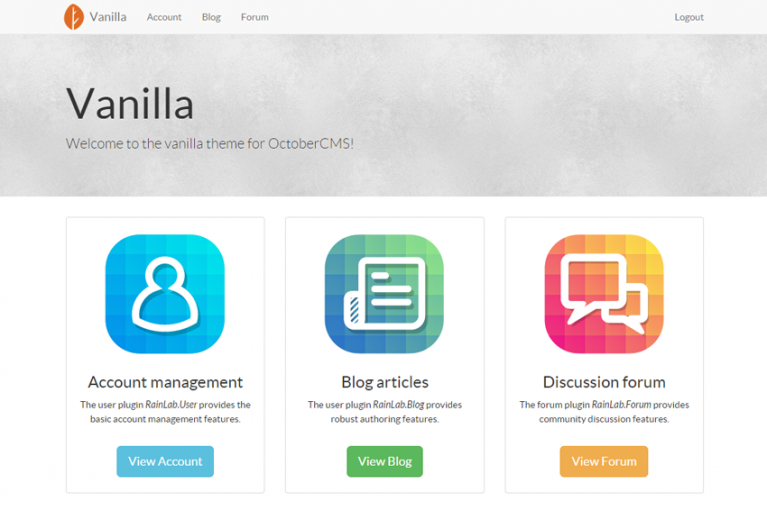 A plain starter template that implements account management, a blog and community forum.